This will cover documents that have been updated offline. 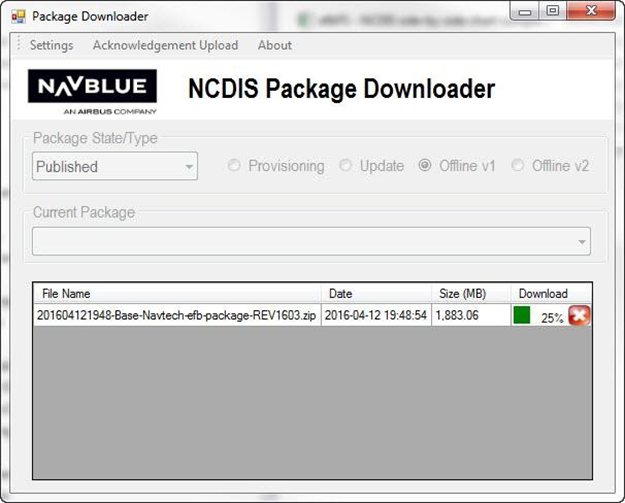 The offline data load package is downloaded using the NCDIS Package Downloader program. 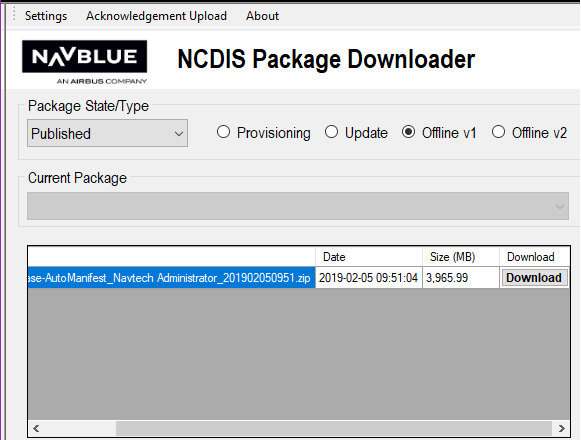 The package downloader program is available as a download from the NCDIS program. See the NCIM 18-1 training for more detailed information on the package downloader. ■ Offline version 1 - this is for provisioning packages only. V1 packages do not allow for traceability between he server and your chosen method of offline deployment. V1 also requires that the client is registered online before loading content offline. 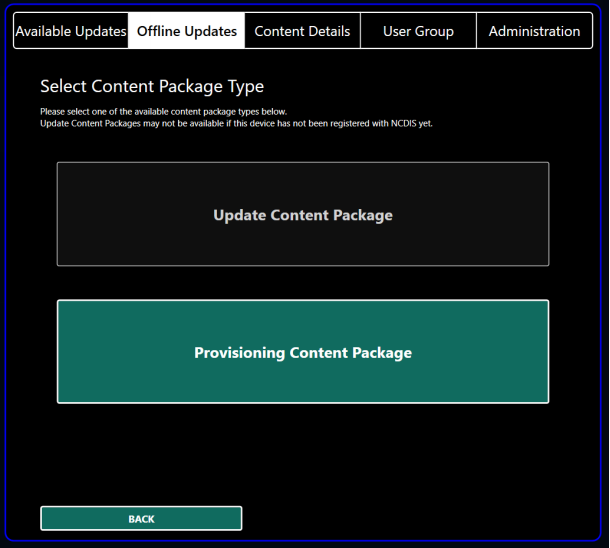 ■ Offline version 2 - this package allows you to download and deploy provisioning and update packages to your devices whilst feeding back to NCIM to provide traceability. The main difference with the two is that Offline V2 there is an update status back possible to NCIM. It applies only for a NCDIS mode installation. For both of these offline versions the package comes from NCDIS Package Downloader. Let's have a look at how we can download an offline chart revision from version 1. 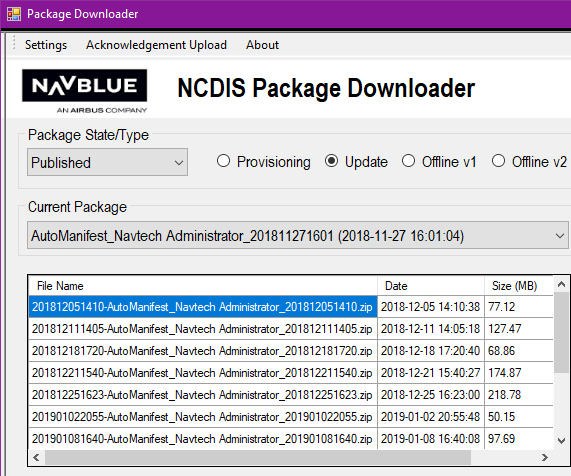 Once you have selected the Charts+ Information Manager (NCDIS) Package Downloader application, you will need to select the package type. Click the OpenPackage State/Type dropdown button. Click the Published list item. You will now need to select which version you like to use. As we are talking about version 1 let's check the box for Offline version 1. Click the Offline v1 checkbox. Click the Download table cell. If you don't see the download button use the scroll bar as the button is at the end of the table. You will be required to select a folder to save the file in. You can either create a new folder or select a previous folder. If you select a previous folder the old files will be overwritten. The warning note you may receive before the download. The download will then begin once you have either accepted the message or selected your download location. You will be able to view its progress in the Package Downloader application. Once it is complete you can then close the Package Downloader Application. Remember to take note of the location of the files you have downloaded. Once you have downloaded the file you can transfer to it the target device using the steps described in the next section. 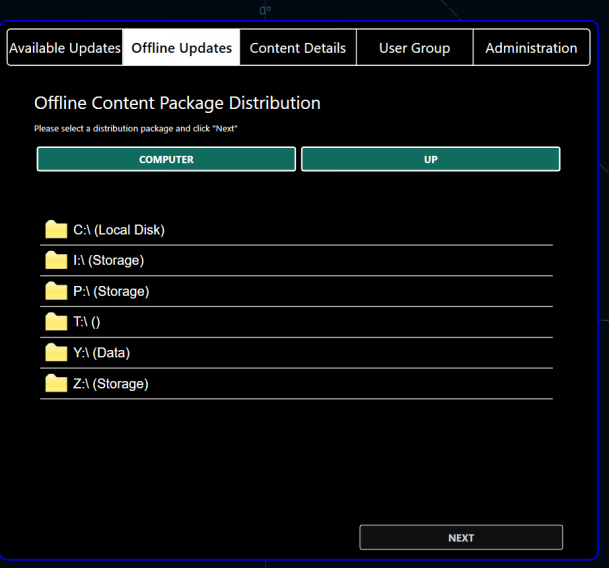 We will now have a look how we can install the offline package. Before installation you need to make sure the files are opened on a device that has Charts+ Windows installed on it. 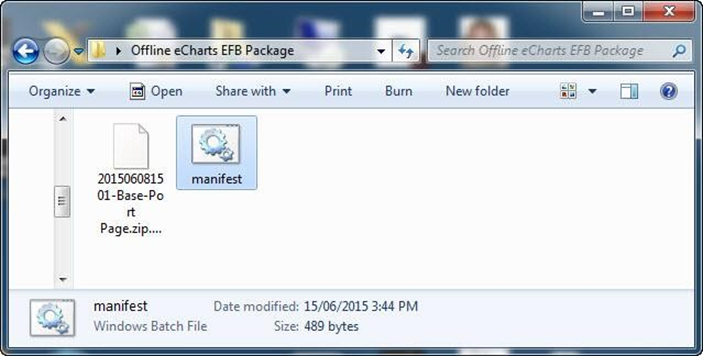 Opening the manifest file opens a Windows\system32\cmd.exe command line. Follow the instructions in the command window. Select Enter on your keyboard to load the update package or press Ctrl + c to cancel. The application will start once the deployment is complete. Deployment may take several minutes. Click the Application Status Icon button. 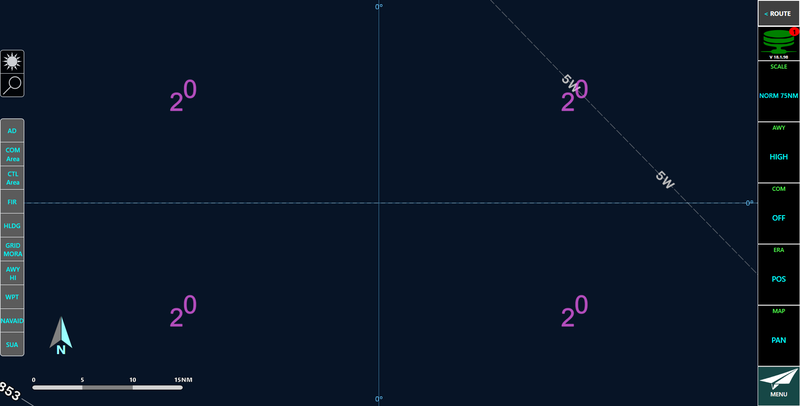 Let's have a look how to install an version 2 offline chart revision. Click the Offline Updates tab. You need to select the folder where you downloaded the Offline v2 update. 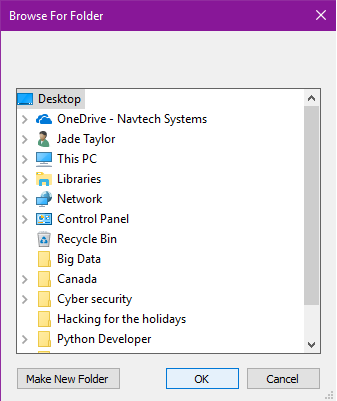 Once you are in the correct folder you can click on the package (extension is .navdist). You can clearly see in the image the selected file ready to update. Click on the package. After a few second you will presented with a choice, this will depend on the type of package you downloaded. The files will then be copied once the button has been clicked. You will be able to see the progress, once completes the application will restart and enter in maintenance mode. 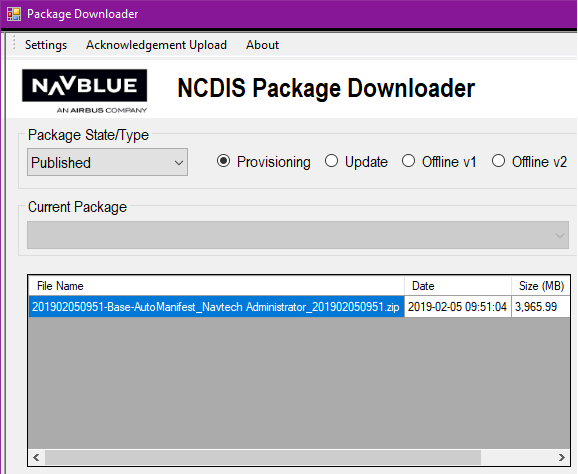 At the end of the installation, a new file (extension .navack) is present in the folder where the package were downloaded. You can use it to update the status in NCIM.